There was Selena Mullenax, a young mother studying for her GED found shot in a public park on a winter morning. Jorge Rea-Villa, a handsome tattoo artist who went to a Fourth of July barbecue and ended up dead. Paula Zorawski, answered her front door only to be shot in the face by people, Anchorage police believe, were hoping to rob her son of marijuana. There were so many more. In 2016, some 34 people were killed by homicide in Anchorage. For many, it was the year the city's violence hit home, even if they didn't personally know any of the victims. 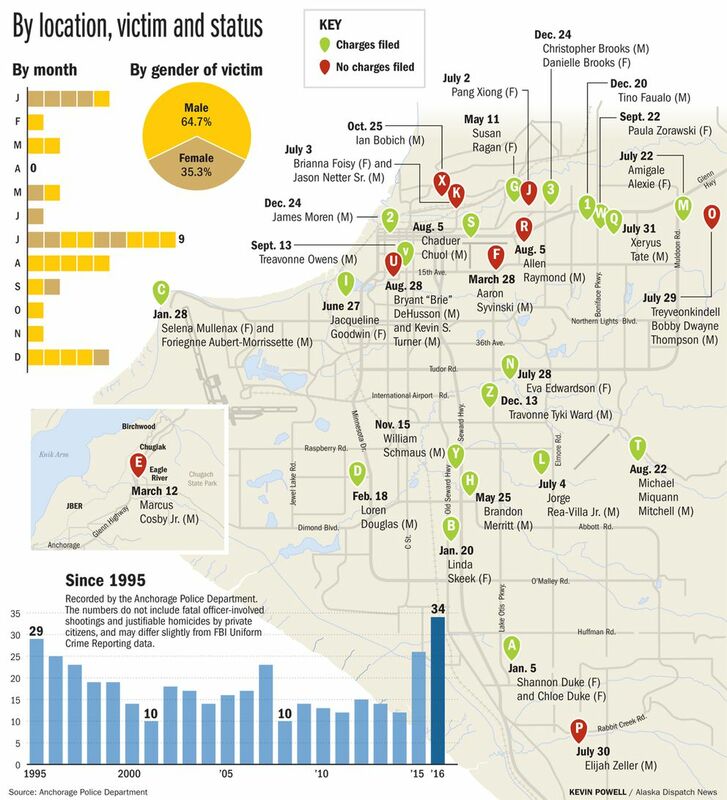 The killings happened in nearly every corner of Anchorage: from an Eagle River apartment complex to a normally quiet south-side subdivision. People were shot to death at a gas station, in a beloved park in the heart of the city, on a scenic beach where people go to look at the mountains. In September, the death of a man in the middle of a busy intersection shut down an elementary school and a middle school while police investigated the killing. Together, the homicides pose a question for Anchorage: What made 2016 so deadly? 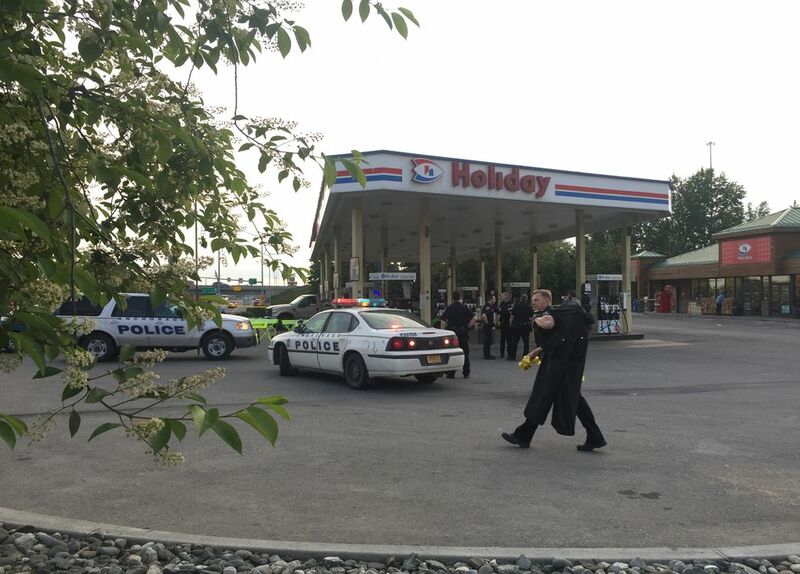 Just two years ago, in 2014, Anchorage ended the year with 13 homicides on the books — the lowest in two decades. The next year, that number nearly doubled, to 25. The year's final tally surpasses even the 29 deaths that occurred in 1995, at the time attributed by officials to gang and drug activity. Police detectives don't attribute 2016's increase in homicides to any one cause. And they say despite the number of killings, suspects are at large in very few of the cases. Police say the majority of the deaths fall into the same tragic but predictable circumstances that thread through homicides every year: domestic violence, personal disputes escalated by a weapon, robberies gone bad. The majority of victims were killed by someone they knew. But the 2016 toll also reflects one extraordinary factor: a potential serial killer apparently targeting strangers. One man, James Dale Ritchie, is the prime suspect in five deaths. Of the 34 homicides in 2016, all but three are considered solved, with police identifying at least a main suspect, according to Sgt. Slawomir Markiewicz, the Anchorage Police Department's top detective. That puts APD at a more than 90 percent "clearance" rate for homicide cases. "Clearance" means police have either made an arrest, prosecutors have declined to file charges due to self-defense or some other reason, or the suspect died. Nationally, the homicide clearance rate hovers around 64 percent, according to statistics from the FBI. The three cases police still consider unsolved are the deaths of Marcus Cosby Jr., 24, Elijah Zeller, 18, and Ian Bobich, 29. Each of the three men died from gunshot wounds. Detectives say they have a "good understanding" of what happened and who was involved in each of those cases. But they are working to build a case meeting the evidence threshold that would allow for prosecution, Markiewicz said. They are unwilling to share details of crimes in which charges have not been filed. "Loose lips sink ships," Markiewicz said. "Same exactly happens to homicide cases. We learned sometimes the hard way in the past." The year's homicides include at least seven domestic violence killings, where the victim is believed to have been slain by an intimate partner or someone in their immediate family. The domestic violence-related cases range from a mother accused of suffocating her infant daughter, to a man accused of fatally shooting his son-in-law. All but one of the victims in those cases were female. 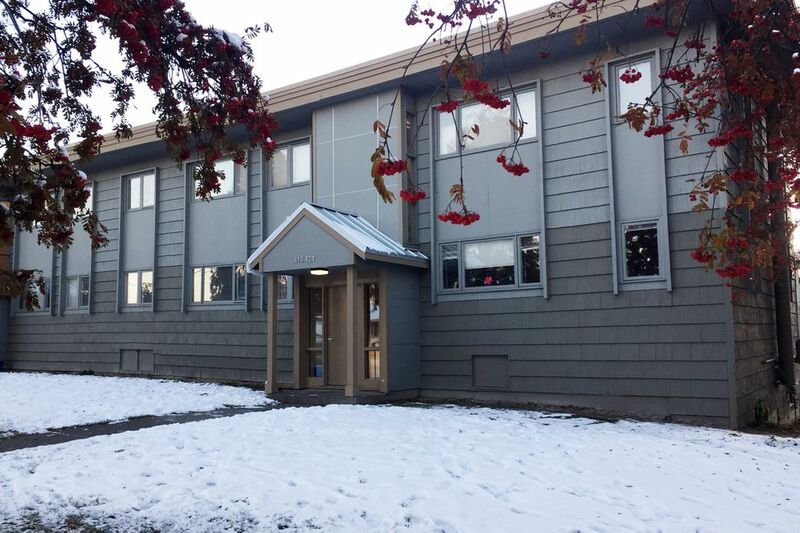 In at least two cases, a person believed to be breaking into a home was killed in what prosecutors determined to be self-defense, and no charges were filed.The deaths of Loren Douglas, 30, and Allen Raymond, 19, are still considered homicides by APD. 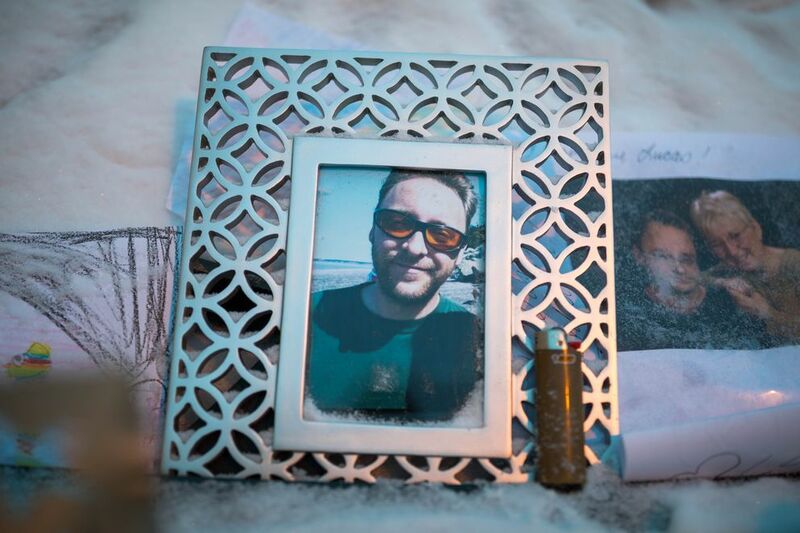 The district attorney's office also decided not to pursue criminal charges in the shooting death of Aaron Syvinski, 30, which was found to be in self-defense. Overwhelmingly, people were killed with guns: Gunfire was involved in all but four of the year's homicides. Many of the victims were young. Of the 34 victims, 14 were under the age of 25. More than a few cases seem to trace back to a personal slight or insult that escalated into violence, said Lt. John McKinnon, head of APD's homicide unit. In May, 19-year-old Brandon Merritt went to a Holiday gas station and exchanged words with another man, according to police. As Merritt approached Andrew Robertson-Goughnor, police said, Robertson-Goughnor shot him. He is now charged with murder. "They are engaging in this behavior where maybe a mature person would say, 'I'd never do that,' but to the people involved this is real stuff to them — disrespect. In a lot of ways I think it is generational," McKinnon said. Some people have speculated gangs are to blame for the bloodshed. It's not that clear-cut, said McKinnon. In the Lower 48, gangs are more organized and act as outside-the-law businesses, pushing drugs and weapons in defined territories. Here, "it's more groups of people who know each other and engage in high-risk behavior together," he said. Another factor no one could have predicted: James Dale Ritchie, who could prove to be the most prolific killer in Anchorage since Joshua Wade, though APD is not ready to call him that. Ritchie, the 40-year-old killed in a downtown shootout with police after he wounded an officer in an encounter early Nov. 12, is the prime suspect in the deaths of five people in 2016, APD said. Police have only definitively named him as the gunman in one killing, that of Treyveon Thompson on July 29. But the same weapon found on Ritchie at the time of his death — an uncommon, vintage Colt Python .357 — was used to kill four other people in a two-month span: Brianna Foisy, 20, and Jason Netter Sr., 41, on the Ship Creek Trail July 3, and Bryant "Brie" De Husson, 25, and Kevin Turner, 34, at Valley of the Moon Park on Aug. 28. Ritchie is considered the main suspect in those killings, said Markiewicz. But APD is not ready to close the cases. "We are working on the Ship Creek case still and the Valley of the Moon Park," said Markiewicz. "We haven't found evidence that anyone other than Ritchie is involved." Police do not believe Ritchie was involved with any other unsolved slayings in 2016. The FBI is testing his DNA in a nationwide database that may reveal if he is linked to any crimes in other states, McKinnon said. So far, nothing has been found. Much about Ritchie is still unknown. Ritchie grew up in Anchorage and was a standout athlete at East High School in the mid-1990s before involvement in drugs led to a felony record that derailed his life. Around 2010, he left Alaska and spent time in Las Vegas before moving to Virginia, where his parents now live. New documents from Ritchie's time at community college in Virginia present a portrait of a striving engineering student whose work was so good that a professor wrote in a 2013 letter of recommendation that he graded Ritchie's exams first and used them as the test's key. In 2011 and 2012, Ritchie was named to the President's List at Blue Mountain Community College in Weyers Cave, in western Virginia, according to school documents obtained by Alaska Dispatch News. In January 2013, an associate professor wrote a letter of recommendation for Ritchie, who was apparently applying for an internship. "Because of his knowledge other students identify him as a potential source of aid but may have been intimidated by his high level of self confidence," the letter said. "James recognized the potential issue and has appropriate (sic) adjusted his behavior to make himself more inviting for others to seek help. It is routine for me to enter class seeing several other students at the board with James as he provides guidance not only for my class but other classes as well." The same year, Ritchie was inducted into Phi Theta Kappa, an honor society for two-year colleges, and graduated from Blue Mountain Community College with an associate degree in science, according to his diploma. He moved back to Alaska in the spring of 2016. McKinnon said police are still trying to piece together what Ritchie did on a daily basis during the months he is believed to have been back in Anchorage. Police have not yet pointed to any known motive in the cases where Ritchie is identified as a suspect. There has been some suggestion by family members out-of-state that he had recently showed signs of mental illness, McKinnon confirmed, but added, "I don't think we have any concrete evidence to support that." 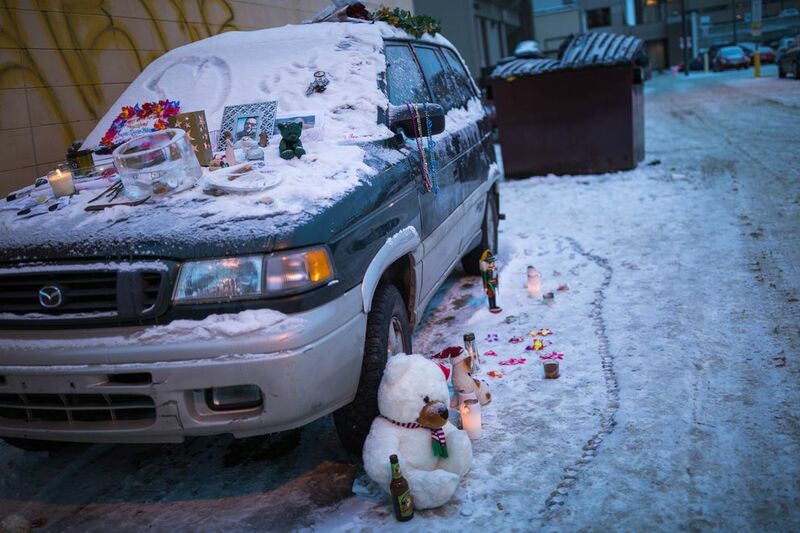 Early on Christmas Eve, James "Lucas" Moren became Anchorage homicide victim No. 32. He had started Friday night with two of the people closest to him: family friend Ronda Marcy and his mother, Elann "Lennie" Moren. Lucas Moren was close to his mom. In 2007, she had been severely injured when her fiance's son, Christopher Erin Rodgers, attacked the couple with a machete at their Palmer home. Her fiance was killed. 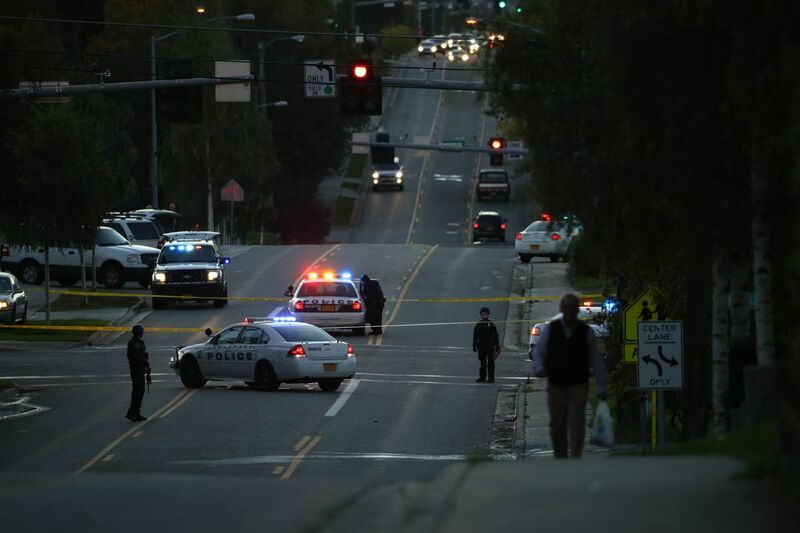 Rodgers went on to kill another man in Anchorage and shoot two others who survived before his 26-hour rampage ended. He was sentenced to 498 years in prison for the murder spree. Lucas Moren himself had cleaned up the bloody scene of the machete attack on his mother. In the years since, he'd helped her live with lasting injuries. At 41, he was a bachelor. He worked in construction and kitchens, said Marcy, a paralegal. That Friday, she dropped him off for an evening out downtown. They were all going to spend Christmas together the next day. He stepped out of the car and said goodbye to his mom and Marcy. "In the fog and the white light, I saw him walking down the alley," Marcy said. "He had a leather jacket on and blue jeans, with a hoodie. His hair was long. I said to his mother how cool he looked — like a prizefighter about to enter the arena." APD says when Moren left the Gaslight Lounge later that night, he was followed by Roy Schauer, 46. Schauer shot Moren several times, police say, though they have not said why. Marcy keeps running over the questions in her mind: Why is this happening in Anchorage? "Is it a greater population? An economic thing happening? Or are people just angrier?" she said. "Why life seems harder, why things seem scarier — why is that? But I feel that in the air." Police are careful not to blame victims of violent crimes. But they point out the majority of them were either involved in risky behavior or killed by someone they knew. "It depends on what we're looking at as far as danger," said McKinnon, speaking generally about citizen safety and homicides in 2016. "I'd say a great number of our citizens don't engage in any activity that's considered dangerous." The department is also trying to directly ask the public for help more often. When a composite sketch of the man suspected in the death of Treyveon Thompson was released, more than 190 people called in tips, McKinnon said. "What we're seeing is that when we ask the community for assistance, they really respond to us," he said. "That's what's been fascinating." Police point at recent hiring of new officers as an effort to make the city safer. More officers on the streets — as with a recently added downtown foot patrol, members of which made an arrest in Moren's murder on Christmas Eve — make streets safer. "That's our plan — to create a better police presence," McKinnon said. 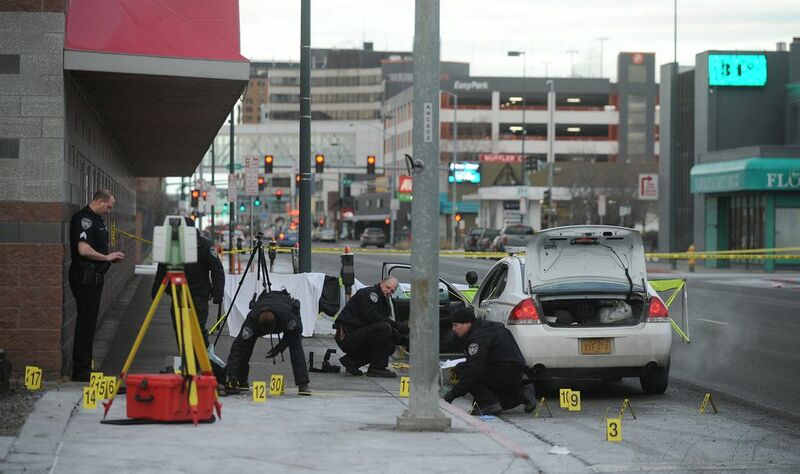 McKinnon pointed out that in the same year Anchorage set a homicide record, it also set a record for the number of tourists visiting the city. "That tells us other people believe it is a good place," he said. On Christmas Day, the people who loved Lucas Moren gathered in the alley behind the Gaslight. Marcy took every votive candle she could find in her house, plus a piece of Christmas pie in plastic wrap, to leave as an offering at a makeshift altar — another corner of Anchorage turned into an impromptu memorial for a person killed in 2016.
Corrections: This article originally incorrectly stated that a homicide had taken place in the Kempton Hills subdivision in 2016. An earlier version of the chart in this story incorrectly stated that it included fatal officer-involved shootings and justifiable homicides. It did not include those deaths.